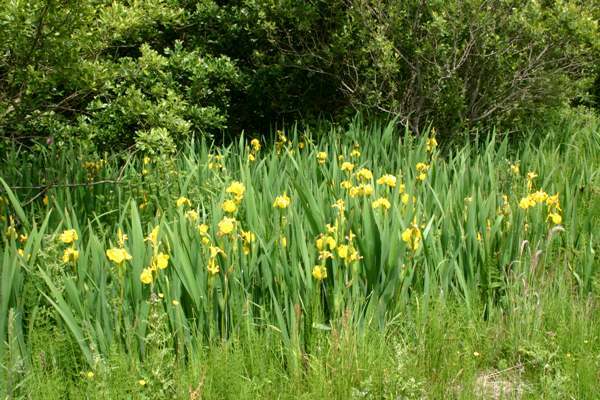 This tall marginal plant, which forms dense stands and spread very easily once established, is very common beside rivers, lakes and canals throughout Europe. 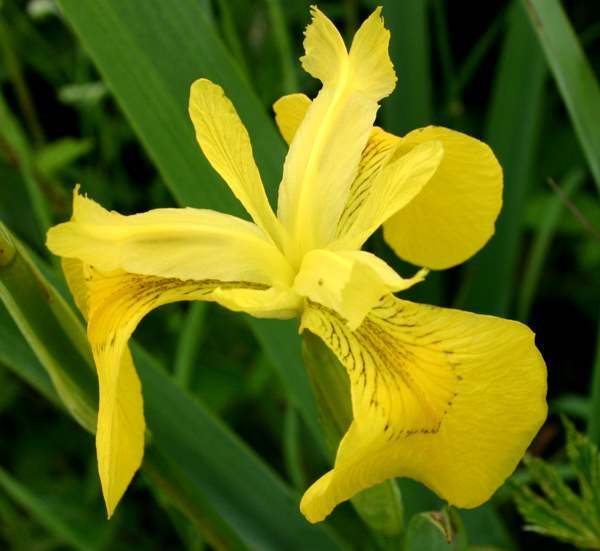 In Britain and Ireland, Yellow Flag Iris can grow up to a metre in height; it blooms from May until August and is one of our best-known and loved wildflowers. The stems are often branched, and plants form dense colonies providing sanctuary areas for small fishes such as minnows and sticklebacks as well as other aquatic wildlife. 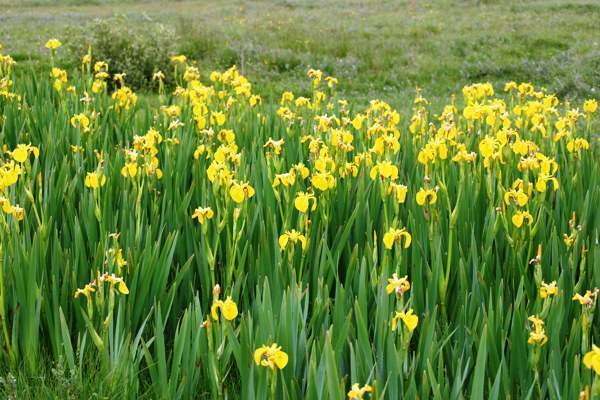 Iris psuedacorus is popular in gardens and is frequently planted around ponds and water features. 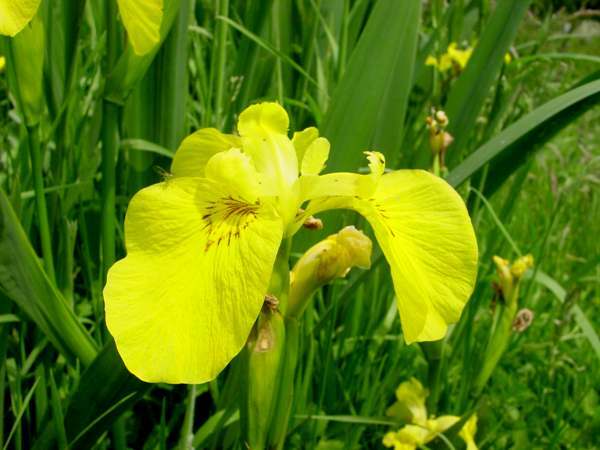 Some of the plants that are now found in the wild have escaped from nearby gardens and, once established in suitable habitat, quickly spread to form large colonies of naturalised plants that are almost indistinguishable from their wild ancestors. We have found and photographed this plant in many places in Europe, including the Triglav National Park in Slovenia. The plants shown on this page were photographed in Wales UK during June.